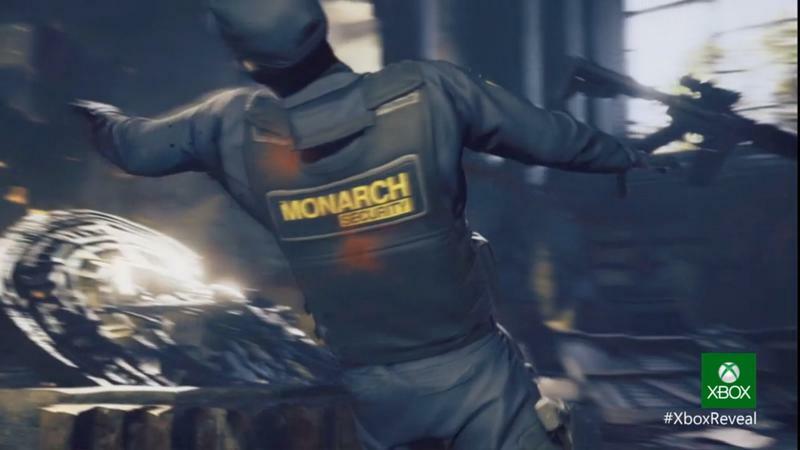 Microsoft and Remedy Entertainment announced their newest narrative packed game yesterday at the Xbox Reveal conference, a psychological thriller called Quantum Break. The last time Remedy worked hand-in-hand with Microsoft was with Alan Wake, a charming love letter to Stephen King novels and Twin Peaks wrapped up in a survival horror shooter. The game was released to a fair amount of praise but remained an infamous bit of vaporware for quite some time because of a long development period. Hopefully this new game will stick to its planned launch window release. It's Microsoft's answer to Sony's upcoming PlayStation 3 exclusive Beyond: Two Souls. Not that there is anything wrong with Remedy telling a story of their own, but I wish it hadn't been made so obvious. The story, themes, general writing and reputation of the two developing teams, and even the concept of blending gaming with another entertainment form is too close for comfort. Microsoft is using Quantum Break to create a "revolutionary entertainment experience" in blending games and television by creating it alongside a TV show tie-in. Beyond: Two Souls is using state of the art motion capturing to seamlessly blend video games and Hollywood talent and production values. If you want to skim just across the surface, even the title, Quantum Break, seems like a jab at Beyond: Two Souls developer, Quantum Dream. Still, we've only seen a teaser trailer of the TV show tie-in and pre-rendered cutscene of a crashing ship. Maybe that disturbed girl has nothing to do with the story at all, and the gameplay could be totally different. This is an impression on the announcement teaser alone. We don't know much beyond this, so stay tuned for more at E3.